A study of the ancient molecular clouds throughout our galaxy, has revealed that water, the compound necessary for sustaining life as we know it, has been around much longer than we realized. In fact, the earliest reservoirs in the universe may have appeared as soon as one billion years after the Big Bang event. The biggest mystery with the formation of water, however, is how a molecule consisting of two hydrogen atoms and an oxygen atom would have existed in the early universe, as element weighing more than helium are the products of stars, formed within their cores many ages after the Big Bang occurred. The earliest stars in the known universe would not only have to form, but would take substantial amounts of time to afterwards mature and die. Therefore the heavier elements like oxygen would take centuries before rising from the furnace of these stars by means of stellar winds and through supernovae events (the death of a star), which would take place eons after. 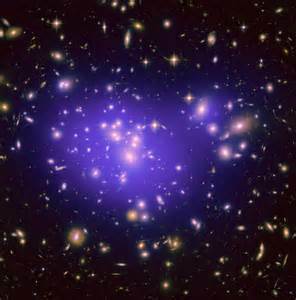 Considering the entire life cycles of stars, alongside the fact that an ever expanding universe which the Big Bang model requires would imply that it took time for the oxygen atoms to be released in sufficient numbers throughout the universe, have all contributed to astronomer suspicions that the molecular bonds necessary for water did not come into existence until rather late in the history of the cosmos. The new research, which was published this week through the journal Astrophysical Journal Letters, suggests that the wait for the earliest water in the universe was not nearly as long. In fact, not only were there molecules, but probably a heavy abundance of water only a billion years after the universe was born. “We looked at the chemistry within young molecular clouds containing a thousand times less oxygen than our sun. To our surprise, we found we can get as much water vapor as we see in our own galaxy,” said Avi Loeb, an astrophysicist from the Harvard-Smithsonian Center for Astrophysics (CfA) in Massachusetts. The first stars which came to existence in the 100 million years following the Big Bang were gigantic and unstable. Of gaseous materials, these early stars rapidly burnt out their supply of hydrogen fuel, before exploding in the supernovae phase – explosive events of radiation that can be seen across galaxies. These cosmic explosions unleashed heavier elements into the universe. What resulted were extensive pockets of gasses rich with the heavy elements. Of course, by comparison to the modern Milky Way Galaxy, these early gas clouds that formed after the explosion were still rather poor in oxygen. Even with such low levels of oxygen, the overall environment at the time was rather suitable for “cooking” water molecules – providing the spark necessary for hydrogen and oxygen to bond. Temperatures of 80 degrees Fahrenheit were rather ideal for combining what oxygen that happened to exist with the plentiful number of hydrogen atoms. “These temperatures are likely because the universe then was warmer than today and the gas was unable to cool effectively,” said the study’s co-investigator Shmuel Bialy of Tel Aviv University. 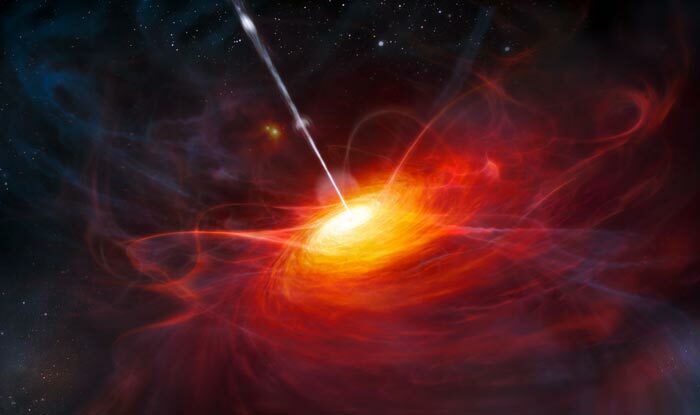 “The glow of the cosmic microwave background was hotter, and gas densities were higher,” added Amiel Sternberg, another co-author who is also from Tel Aviv University. The early days of our universe’s history were far from the in place to be, as an abundance of these young stars would actively unleash a great deal of powerful ultraviolet radiation strong enough to rip apart the newly-formed water molecules. After several million years of water production, however, the destructive impact given off by the ultraviolet light would eventually while the resulting water formation would then continue to accelerate, producing a wealth of organic molecules that can even be seen throughout our own solar system. The new study has only focused on how water formation occurs in the gaseous phase, without taking into consideration liquid water or ice, the predominant form in which it occurs throughout our galaxy, encrusting a number of moons and planets. This surprising discovery suggests that even within the first billion years of our universe, there was quite a nurturing environment for H2O production in clouds, and that there may have been a number of worlds containing life, possibly even on some of the protoplanets within our own solar system before they were destroyed. This distribution of water in relatively oxygen poor clouds may even be the reason that life as we know it is so dependent on water, as the epochs that followed would see the formation of stars in a universe that already had water in it.